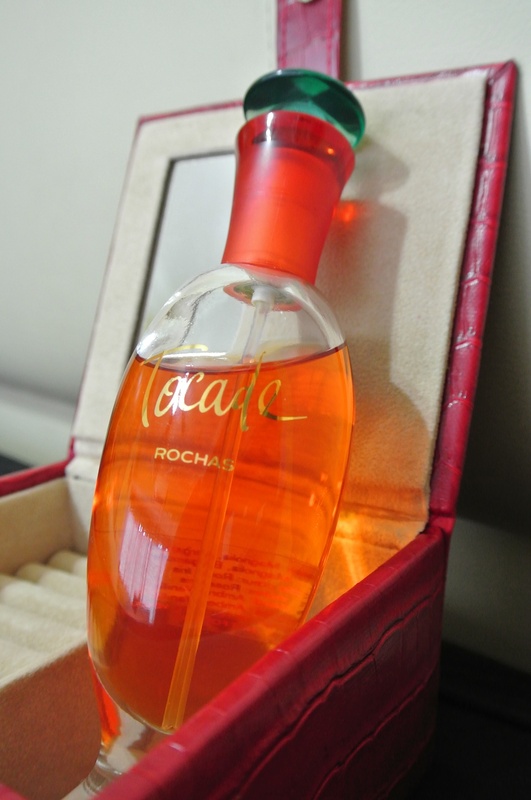 If there are any perfumes that are beautiful in their simplicity, Tocade must certainly be counted amongst their ranks. I have been wearing Tocade quite frequently in the past few weeks, ever since investing in a full bottle, and each time I wear it, I marvel at its plush, elegant beauty. But this is no fragile, ethereal beauty. Nay, Tocade is full-bodied, curvy and utterly, irresistibly seductive. Many have written about its perfect rose-vanilla composition, and I agree, but it is far greater than the sum of its parts. It never veers towards gourmand territory nor floral territory, but rather possesses an iridescent veneer that makes sniffing it each time a pure joy. I suspect perfumer Maurice Roucel took this idea of combining a floral with a vanilla and used it again in Guerlain Insolence, but in the latter he used violet instead of rose, amped up the vanilla, made it more vulgar and added a hairspray top note. Tocade also references Royal Bain de Caron, but leaves out the soapiness and the lilac. Tocade‘s drydown is considerably more vanillic than the rest of its development, but even so it’s not cake or candyfloss. To think Tocade used to be the ‘girly’ go-to scent in its heyday, and was considered ‘trashy’ or even ‘slutty’. Worn today, she’s quite grown up, she knows what she wants, and she’s got what it takes to get it. I got my 100ml bottle for under £20. At such a price, there really isn’t any excuse not to try it/buy it. I owe it to you for pointing out many I may have otherwise overlooked and for guiding me through the plethora of perfumes available. Thank you. Tocade has everything to be a classic. Instead, it is nearly forgotten (i think). So glad that you wrote this review! Tocade deserves it. I think so too! More people need to try this beauty. You had me at Trashy and Slutty. Is this a modern bottle? It’s not as slutty as people would make it out to be, not to me anyway. As far as I know this is the old bottle, don’t think it’s changed in recent years. Yes, they have repackaged and reformulated in the last year or so. Ok! I’m quite sure the store I went to holds only old stock. Once they run out it’s gone.